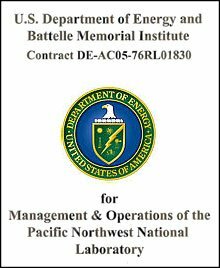 NOTE: The files linked below include the PNNL contract and appendices. Modifications that change, delete, or add language to any portion of the prime contract (referred to as "M" Mods) will be posted after execution. Modifications that change the amount obligated by the Government (referred to as "A" Mods) are not posted unless they also change contract language, but are available upon request. These files are provided in this format as a convenience and this is not the official or archival copy of the contract. Although updated frequently, do not assume all modifications are included. The official copy of the contract is maintained by the PNNL Office of General Counsel.